This Light Award is sponsored by Memory Culture, and processed through Kiva.org. Madina is a 34-year-old businesswoman who lives in Juba. She is married and has 6 children between the ages of 15 and 4. Four of them go to school. Madina runs a food store business, and she has been in the business for 8 years. She has 1 employee. Madina heard about Finance Sudan through fellow clients, and from the outreach and promotion done by the loan officers. 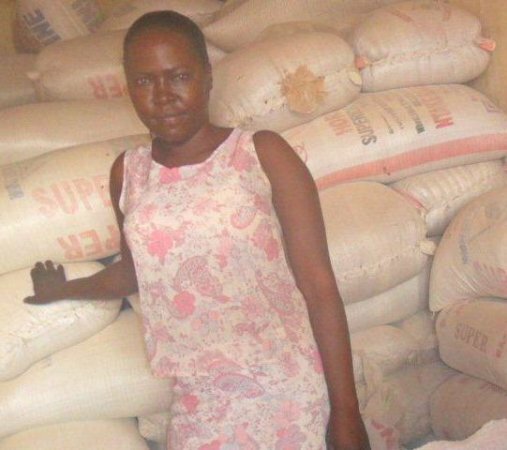 She is taking a loan of 3,000 SDG to purchase more food items, such as sacks of maize, grain and many others. Madina has no other source of income. In 5 years' time, Madina would like to hope for growth in the business' size and to have a good store. Her major challenges include school fees and home expenses. Madina says that she is happy for Finance Sudan’s support, especially for women, helping them with capital to start up a small scale business.